We are asked quite often about the security camera CCD (Charged Coupled Device) and the CMOS or Complementary Metal Oxide Semiconductor. In the following article we'll discuss how a digital video system actually works and what importance a security camera CCD has within this system. We are asked quite often about the security camera CCD (Charged Coupled Device) and the CMOS or Complementary Metal Oxide Semiconductor. 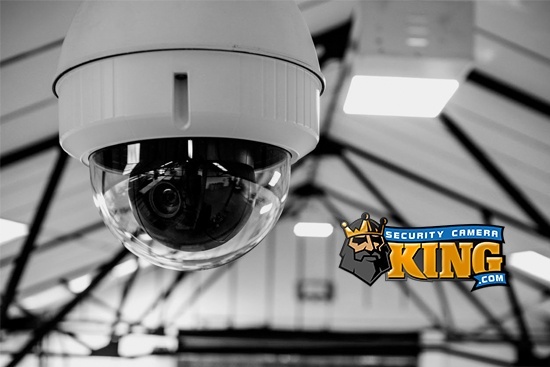 In the following article we’ll discuss how a digital video system actually works and what importance a security camera CCD has within this system. First let’s describe a digital video security and surveillance system. It normally consists of three components; the camera(s), the Digital Video Recorder, and a monitor(s). The camera’s function in this system is to capture a video image created by light reflectance and transform it into an electronic image based on electricity. Both live and recorded material is played back by the DVR and may be seen by watching the monitor. So now that we have a general idea of what each component does, let’s talk specifically about the camera and the security camera CCD. A digital video camera works by using a combination of mechanical (lenses) and electronic (Integrated Circuit or IC chips and printed boards). Whatever direction the camera may be pointed in, the area that you will see as a point of view from the camera is called the camera’s field of view. The field of view is the specific area that will constitute the video image. The field of view can be made larger or smaller depending on the focal length of the lens. A standard lens has one focal length and therefore on field of view. Varifocal lenses can vary their focal length (either manually or remotely). The field of view contains objects that reflect light. This reflected light is captured by the lens and when in focus, the lens focuses the reflected light on a sensor chip which is usually only 1/4 to 1/3 inches square. This sensor chip, in our case, is the security camera CCD. As the focused light strikes the security camera CCD, tiny pixels on the sensor emit a very small but measurable electric impulse. Their may be more than one CCD and their maybe the use of one or more filters involved as well. Once the light strikes the security camera CCD, the CCD gives off it’s electrical pulses and this are measured and interpreted by the analog to digital processor IC chip. This is when the video image becomes digital. As the processing continues in the camera, the camera’s Digital Signal Processor or DSP, in essence another IC chip, makes adjustments to brightness, color intensity, contrast, etc. to make sure the video image is of the highest quality. Once the video image information, now binary or digital data is sent to the DVR the DVR stores it or plays it live. Either the camera or the DVR compiles the binary data and creates a digital video file out of it. These digital video files are the same type of digital video files that can be watched on a personal computer. The security camera CCD (and the CMOS) has a unique feature about it that makes it even more versatile. The CCD inherently can also create video images using on infrared light. 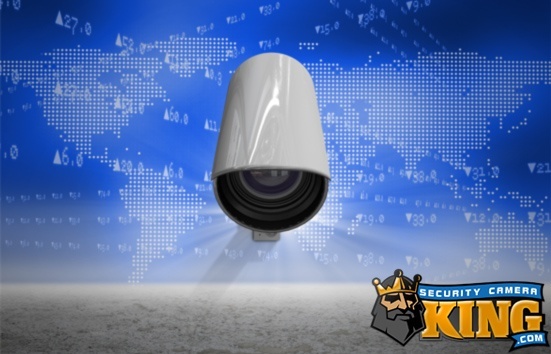 Infrared light is invisible to the human eye, so this makes for a very powerful, useful security device. 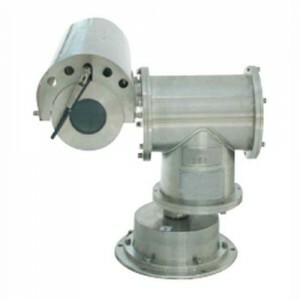 Most night time infrared cameras have an array of Infrared producing Light Emitting Diodes or IR LEDs that are arranged around the lens of the camera. The human eye cannot see their light, but to the CCD, they work like using a floodlight. In addition to the array of LED’s around the camera lens, IR LED illuminators may also be used. Illuminators are just a group of more IR LEDs to add more light to the picture. Some illuminators boast IR ranges of as much as 300 feet when using the illuminator along with the camera’s own lights. Incidentally, since this type of video construction is done with only IR light, the image will be in either black and white or monochromatic. But very seldom will the detail or resolution degrade so the IR video image is as good of quality as the day time color versions. 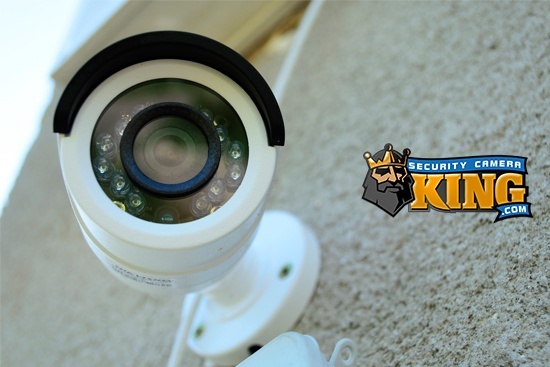 Security Camera King has a large variety of security camera CCD cameras and systems. Be sure to check the “Specification” tab when looking at a camera that you may be considering to purchase to make sure that the camera gets the proper night time range that you will need.